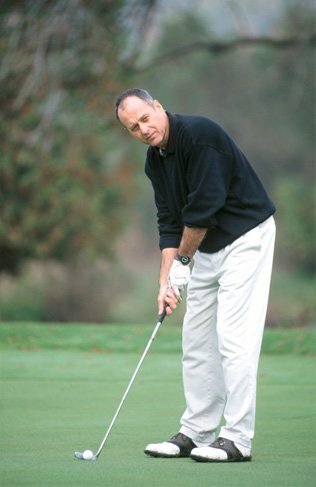 Home / Blog » Can Playing Golf Injure Your Hips? The explosive twisting motion the body must go through when striking the golf ball can result in hip injuries such as muscle strains, bursitis, and tendonitis. Making sure you get enough rest, application of ice and heat to the painful area on the hip and modifying your golfing technique may help relive most of these symptoms. Before playing, ensure your golf clubs and other equipment are the right fit. You need to warm up your major muscles, stretch to loosen up the hip joint in all planes, and perform exercises that work on the mechanics of the golf swing. Also ask yourself if you have any hip pain that could be exacerbated by playing golf? Not taking corrective action and playing through the pain instead could result injuries of a more serious nature such as osteoarthritic changes, stress fractures in the hip, labral tears, hip impingement, and loose bodies within the hip joint. 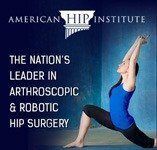 If your hip pain is caused due to hip labral tears, hip impingement, or the presence of loose bodies, minimally invasive hip arthroscopy may be used to fix the problem. In case of fractures or severely arthritic hip conditions, surgical repair or hip replacement may be required. Early diagnosis of the underlying cause for hip pain and prompt treatment are key factors in getting you back on the golf course as soon as possible after hip injury.